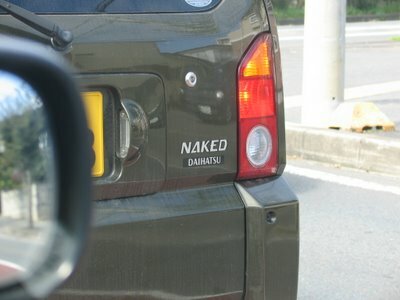 Another post about the Japanese and their cars - isn't this a strange name for a car? But it seems that the meaning isn't actually very important; many people don't speak english so they don't understand it. But it is important that the name comes from a foreign language or at least sounds like that, because this is fancy. There are lots of other strange names, maybe I'll show you some occasionally.